As a part of my devotional reading, I have been reading through a ten-volume collection on the sermons of Charles Spurgeon. It has been a fascinating trip with a man that has been called by many, “The Prince of Preachers.” Sometimes I have wholeheartedly embraced what he wrote; other times I have struggled with what I’ve read, but in the end, I have come to appreciate Spurgeon. Grace makes a great difference in a man, when it enters into him. How vain, then, are the boasts and professions of some persons, who assert themselves to be the children of God, and yet live in sin. There is no perceivable difference in their conduct; they are just what they used to be before their pretended conversion; they are not changed in their acts, even in the least degree, and yet they do most positively affirm that they are the called and living children of God, though they are entirely unchanged. Let such know that their pretensions are lies, and that falsehood is the only groundwork that they have for their hopes; for, wherever the grace of God is, it makes men to differ. A graceless man is not like a gracious man: and a gracious man is not like a graceless one. We are “new creatures in Christ Jesus.” When God looks upon us with the eye of love, in conversion and regeneration, he makes us as opposite from what we were before as light is from darkness, as even heaven itself is from hell. God changes man. He works in him a change so great, that no reformation can even so much as thoroughly imitate it; it is an entire change – a change of the will, of the being, of the desires, of the hates, of the dislikings, and of the likings. In every aspect the man becomes new when divine grace enters into his heart. And yet thou sayest of thyself, “I am converted,” and remain what thou wast! I tell thee once again to thy face, that thou sayest an empty thing; thou hast no ground for saying it. If grace permits thee to sin as thou wast wont to do, then that grace is no grace at all. That grace were not worth the having which permits a man to be, after he receives it, what he was before. No, we must ever hold and teach the great doctrine of sanctification. Where God really justifies he really sanctifies too; and where there is the remission of sin, there is also the forsaking of it. Where God hath blotted out transgression, he also removeth our love of it, and maketh us seek after holiness, and walk in the ways of the Lord. Did you get the same, “Hmm” as I did with this? 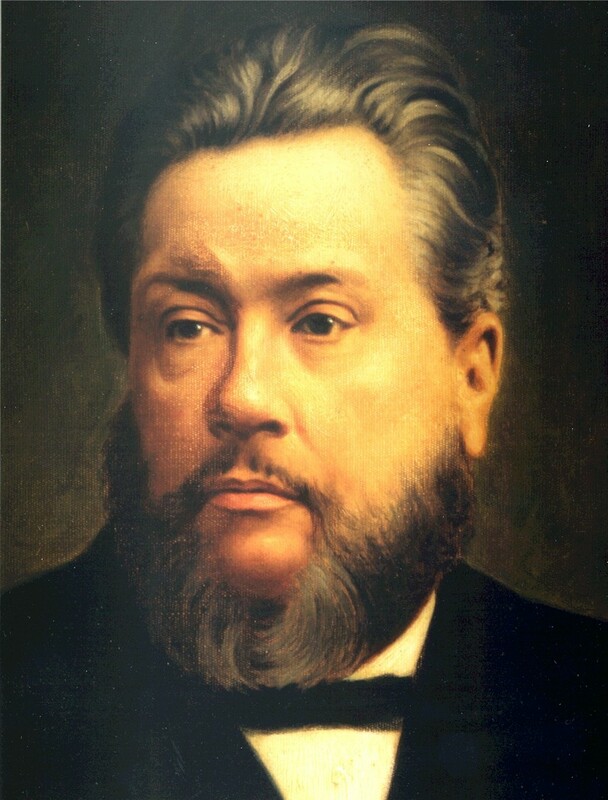 No doubt there will be those who are ready to throw out the red flags of objection to some of what Charles Spurgeon said here, and perhaps especially when it comes to what he called, “the great doctrine of sanctification.” However, before we throw those flags, perhaps we would do well to note that “Sanctification,” as it appears in the New Testament, is interpreted in at least two different ways. First, sanctification stands for the already accomplished work of God as applied to the salvation of the individual Christian. Jesus’ cry from the cross, “It is finished” (John 19:30), comes to mind. As Christians, you and I are already sanctified. There is but one, and one only, “condition” on our part; it is not a “work,” rather it is that we “believe” and thereby personally accept the gift of God through Jesus Christ. That is our only part in it; believe (and thereby accept Christ). If we have this relationship with God, we are sanctified already. Conversely, if we do not believe, then we have not accepted God’s gift, and we are not sanctified (that is, we are not saved). “Sirs, what must I do to be saved?” asked the jailer of Paul and Silas. They replied, “Believe in the Lord Jesus, and you will be saved – you and your household” (Acts 16: 30-31; NIV). “Do not love the world or anything in the world. If anyone loves the world, the love of the Father is not in him” (1 John 2:15; NIV). Is the question of how we know who really are “Sheep” from those who are only “Wolves in Sheep’s clothing” discernable and answerable? Spurgeon seems to be saying that it is. In keeping with the “do not judge” of Matthew 7:1, I do not believe that Spurgeon is judging in a condemnation sense, for only God can condemn, but he is judging in a discernment sense, as we are all called to do. “For it is time for judgment to begin with the family of God; and if it begins with us, what will the outcome be for those who do not obey the gospel of God? (1 Peter 4:17; NIV). "Is moral sanctification experienced as a gradual process?" "Is it a second work of grace?" Perhaps that’s what it means to be a child of God. Perhaps that is where faith comes in. Perhaps that’s enough. Can we rest in that? Charles Spurgeon quote: Spurgeon’s Sermons, Volume 3, Sermon VIII, “The Dumb Singing.” Reprinted by Baker Books, 1996. I struggle with this alot ...if righteousness comes by the law then Christ died in vain...but if we practice the works of the flesh we will not inherit the kingdom of heaven (galatians 5). Again we wait for the righteousness...yet...there is the righteousness of the saints (clean linen) which are their deeds..oy vey. One thing for sure, God chastens His children so if we can sin and always get away with it then I would say we have great cause for concern.